Garten developed her love for French cuisine when she took a four-month vacation to France in the ’70s. The open-air markets, fresh produce stands, and culture were pure magic to her. When she returned home to the U.S, Garten did what many housewives at the time did – turn to Julia Child. 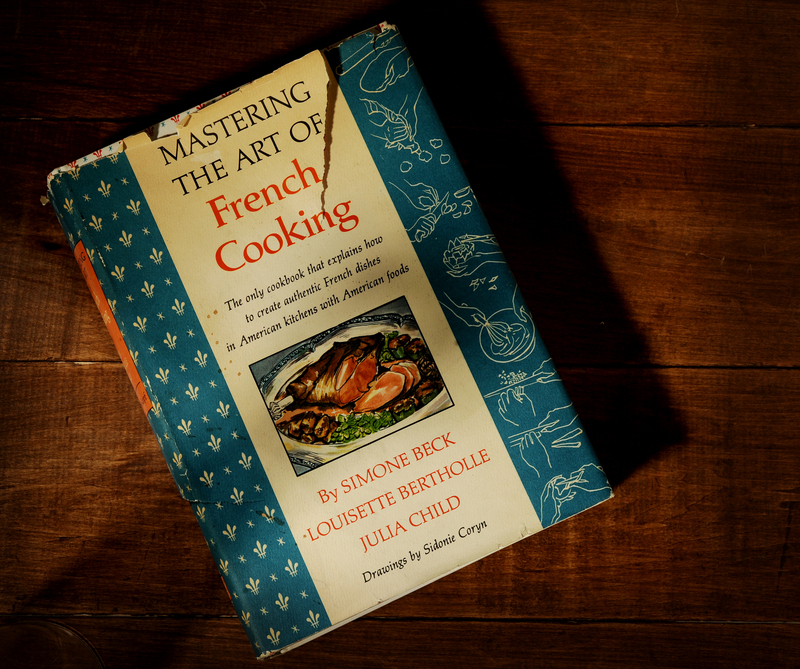 Child’s book, Mastering the Art of French Cooking was the bible of many kitchens. Garten continued to learn from these hallowed pages, debuting her skills by hosting weekly dinner parties. Her husband and their friends were the guinea pigs Garten needed to experiment on. They were more than willing. In the early ’70s, Garten returned to education. 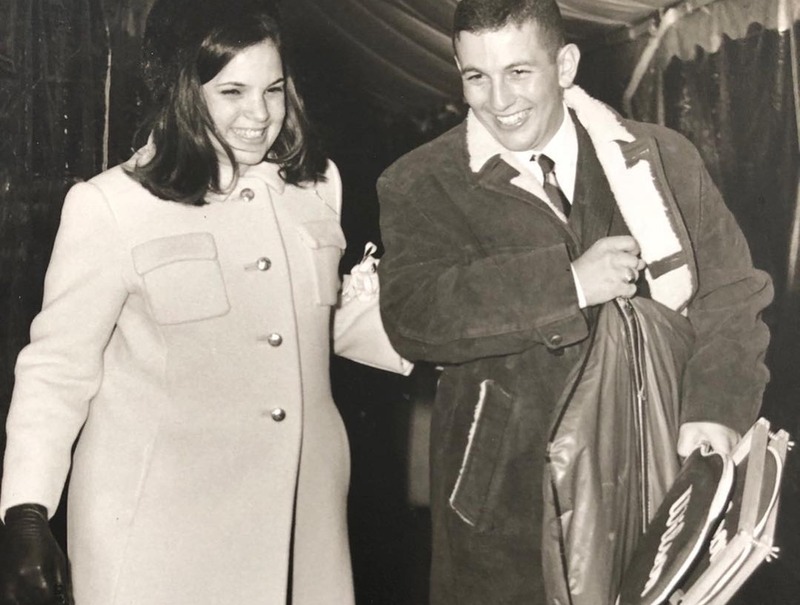 Although she had studied at Syracuse University previously, she put her degree on hold to get married and follow her husband in his military career. By 1972 she was situated in Washington D.C and was in the process of earning an MBA at George Washington University. Initially, Garten was hired at the White House in a menial role, but she soon climbed up the ladder to the Office of Management and Budget. While at home Garten loved cooking up a storm in the kitchen, but at work, she was busy writing the nuclear energy budget and policy papers on nuclear centrifuge plants for Gerald Ford and Jimmy Carter. Usually, the only people that buy stores are people who have thoroughly done their research. 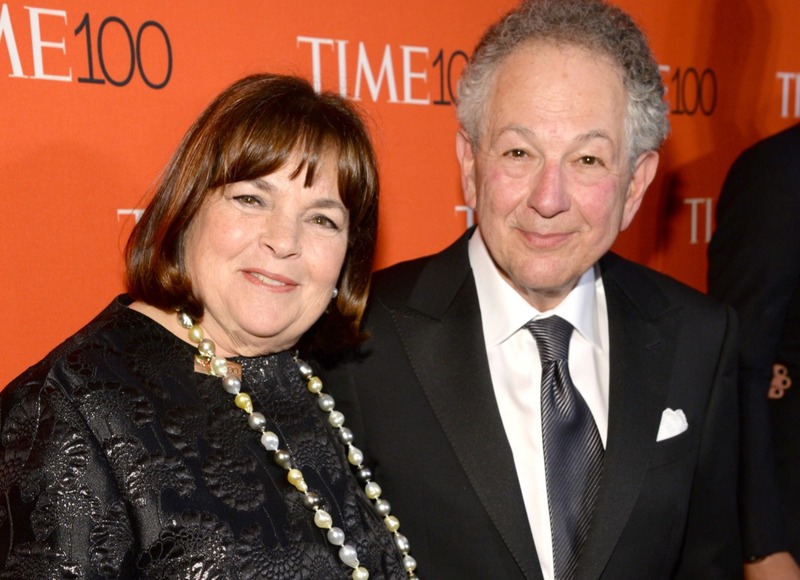 Businessmen and women don’t just pour hundreds of thousands into a space on a whim… unless you’re Ina Garten, that is. 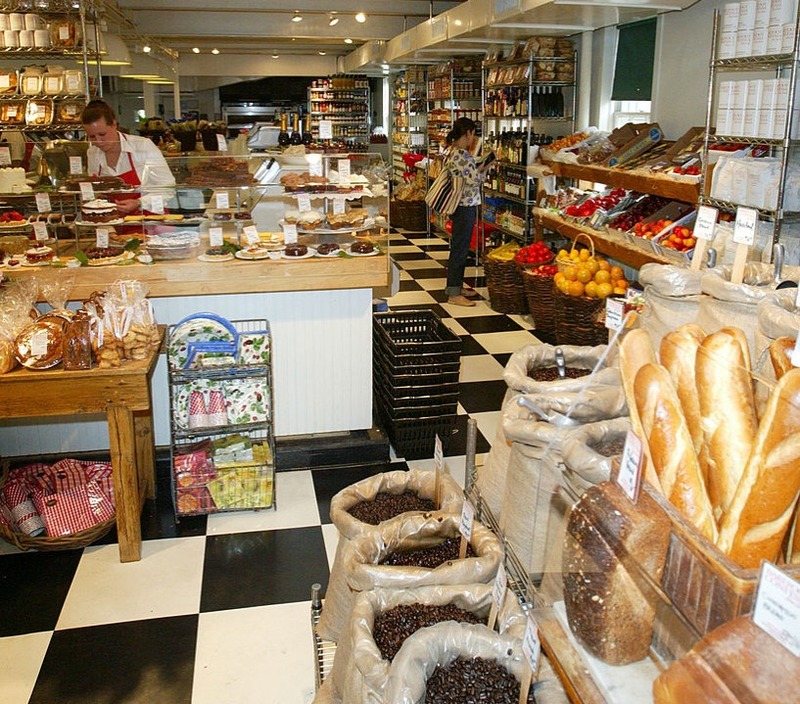 Garten spotted a 400-square-foot food store for sale in 1978, located in the upscale Westhampton Beach in New York. After quitting her high-profile job in Washington, Garten wanted a change. 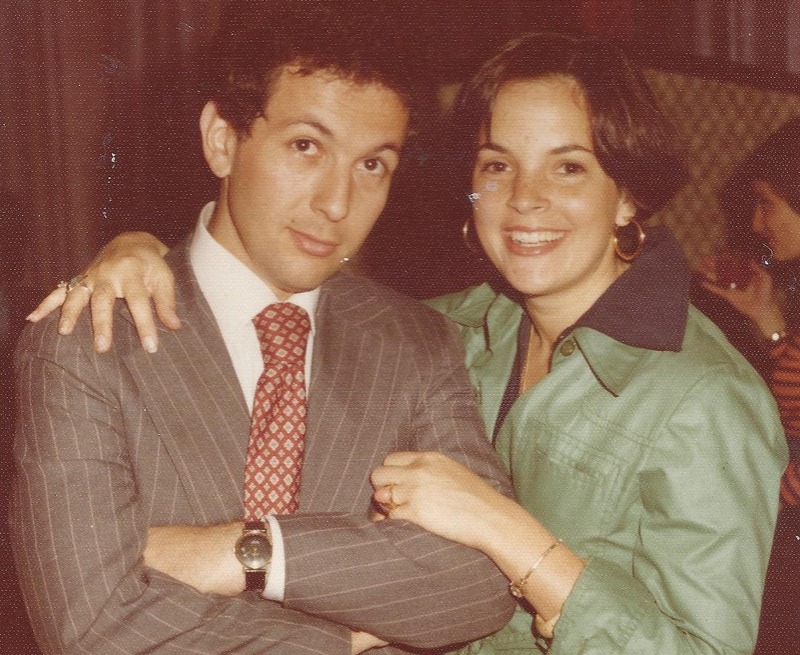 She viewed the specialty food store, Barefoot Contessa, put in an offer and moved back to NYC to get things started. With no experience in retail or company ownership, Garten threw herself in at the deep end. 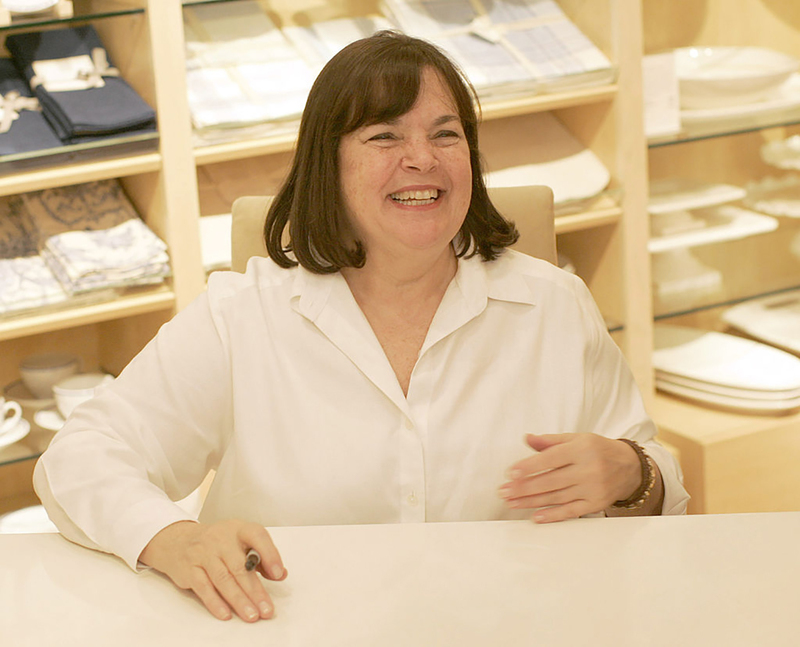 Garten successfully ran Barefoot Contessa for twenty years, thriving on the high-profile clientele of the area. Lauren Bacall and Steven Spielberg were huge fans. 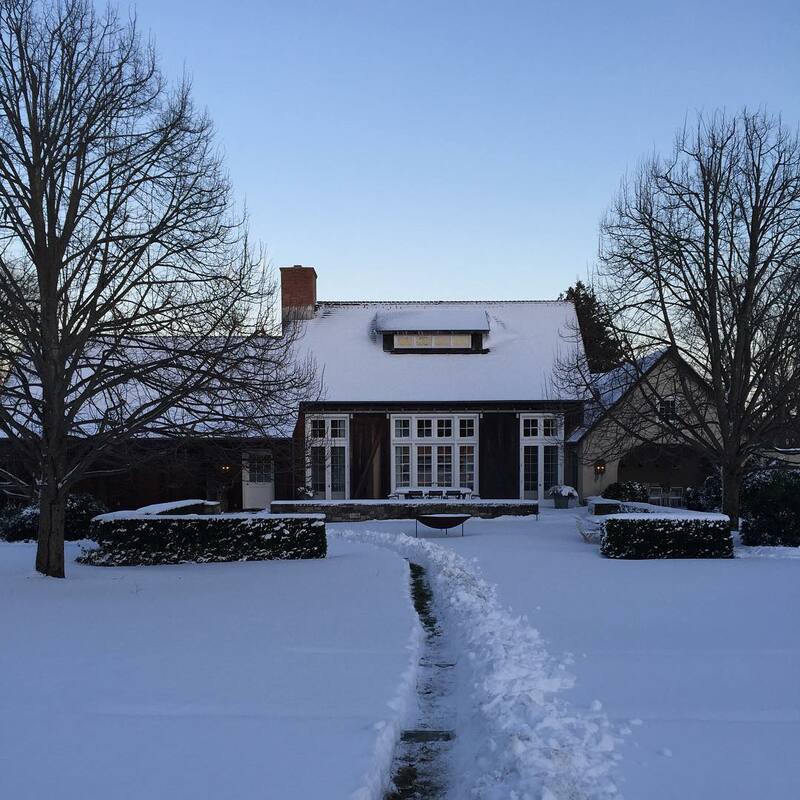 Within a year of opening, Garten purchased a bigger property and moved the business to East Hampton, which was popular all year round, as compared to Westhampton’s seasonality. Garten worked as a chef but also employed local specialists to help prepare popular dishes like lobster Cobb salad. 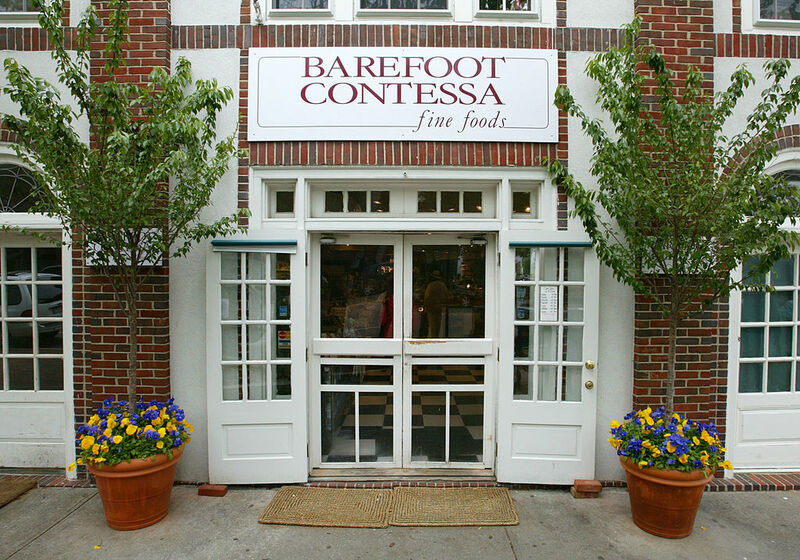 Using locally grown produce, the Barefoot Contessa became a tourist hot-spot as well as a popular destination for residents. Over the next few years, the store would expand to over seven times its original size. Ina met her husband Jeffrey when she was just 15 years old. The couple waited until they were in their twenties to tie the knot, cementing their union that is just as solid now as it was back then. Mr. Garten himself is an incredible man. He worked as the Undersecretary of Commerce for International Trade and was the Yale School of Management dean. He’s served in the military and frequently appears on Barefoot Contessa to sample what his wife has cooked, or help her out with little things that need doing. Jeffrey is just as popular as Ina is. In 1999, Garten tried her hand to writing a book. Just as Julia Child helped her to learn her craft, Garten hoped that The Barefoot Contessa Cookbook could benefit others. Ina poured all of the knowledge from the 20 years she spent running her store into the book, which became a huge success. With little marketing, the publishers had modest hopes for the sale. However, it sold over 100,000 copies in the first year alone, prompting a second and third print. Only 35,000 copies were initially made. The success of the book made Garten a household name. Since then, she’s published a further 11 books, selling over six million copies. Garten seems so welcoming, warm and motherly that fans spent a lot of time wondering why she never had children of her own. A few years ago, the businesswoman discussed the subject with Katie Couric. "We decided not to have children," she said. "I really appreciate that other people do and we will always have friends that have children that we are close to but it was a choice I made very early. I really felt, I feel, that I would have never been able to have the life I’ve had. So it’s a choice and that was the choice I made." These days, Garten is one of the best-known TV chefs, but there was a time when it wasn’t going to happen. 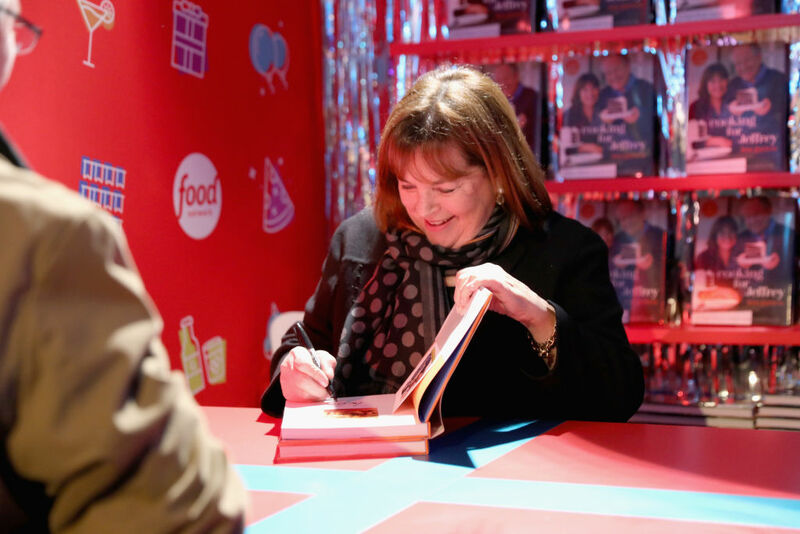 Food Network executives were keen to capitalize on the success of Garten’s cookbooks and approached her several times, asking her to host her own show. Eventually, after rejecting the network’s advances many times, a deal was made for a 13-episode season. Garten only agreed to the idea when the same production company Nigella Lawson used came on board. Garten’s warm and friendly manner, alongside the home-spun nature of the show, won her an instant following. 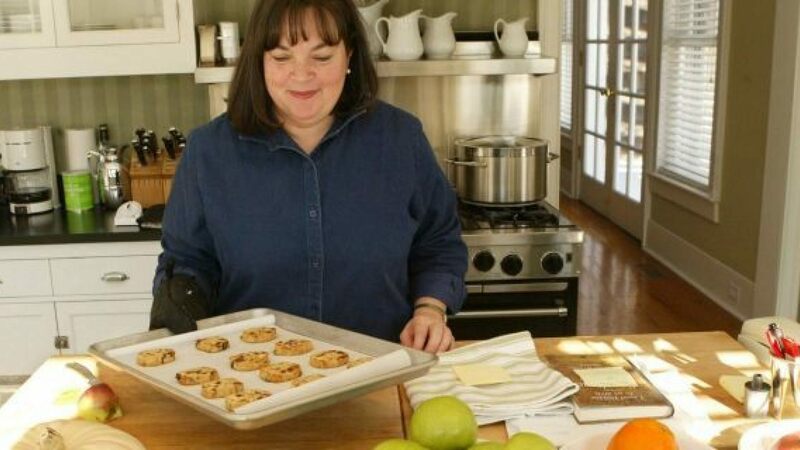 Barefoot Contessa became an Emmy-award winning series that is now the longest-running culinary show on The Food Network. The culinary cookbook market is saturated, so to stand out you have to have something pretty special. Garten didn’t just have the experience, but she had the proven sales record as well as the most important factor of all – likability. According to sources, the self-taught chef has the honor of being awarded the most lucrative culinary book deal to date. Not bad for a girl that went to Paris and bought a Julia Child cookbook, is it? As well as her book deals, Garten has been offered numerous endorsement deals and even her own magazine. She’s refused nearly all of them as she doesn’t want to complicate her life. The rich and famous usually get a book deal or three for simply being them (just look at Paris Hilton) but when Oprah asks you to write a column for her O magazine, you know you’re really onto something. Over the years, Garten has contributed several times to the publication, which opened other avenues. House Beautiful was quick to secure the culinary expert for a monthly column called "Ask the Barefoot Contessa" which ran up until 2011. Entertaining and lifestyle tips abounded, all in response to letters from fans and avid readers. 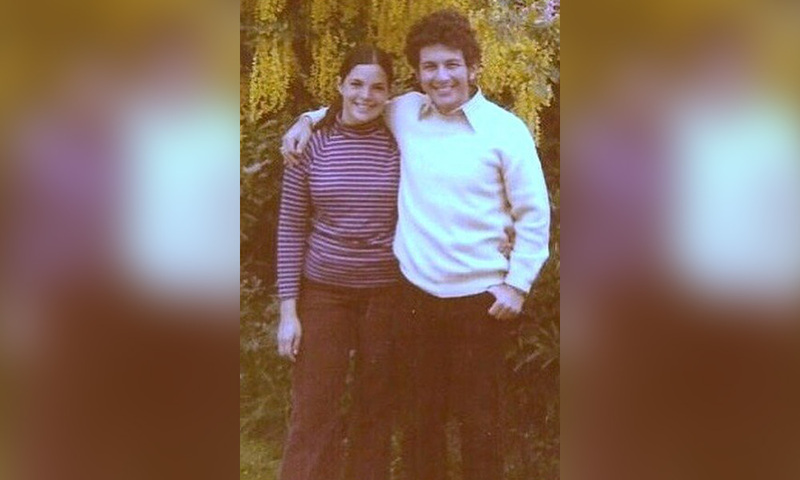 With a marriage that has lasted decades, Garten has her husband, Jeffrey, to thank for a lot of her success. 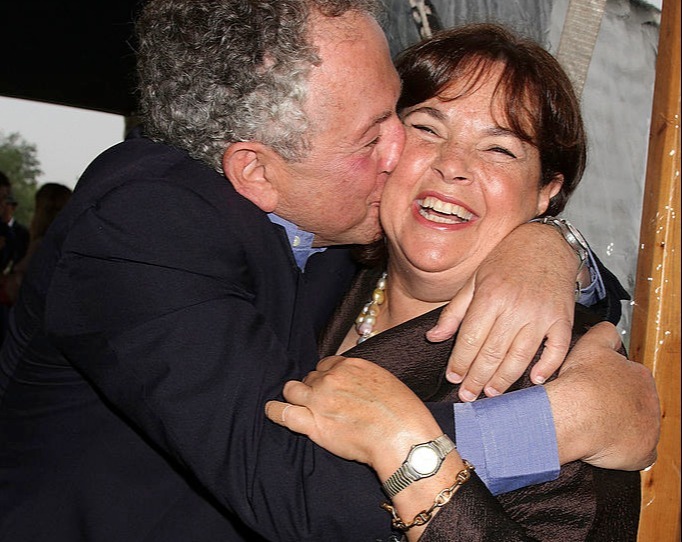 Without his emotional backing and endless support, she would never have been able to make the switch from government aid to Barefoot Contessa. She frequently mentions him in interviews, and has stated that her perfect day would be "Sunday in Paris, with Jeffrey." Her tenth cookbook was dedicated entirely to her husband, called Cooking for Jeffrey: A Barefoot Contessa Cookbook. They say that behind every great man there’s a great woman, but in this case, it works both ways. Garten was an avid supporter of the Obama presidential campaign, so it was only natural that she do a one-hour special called Barefoot in Washington back in 2016. 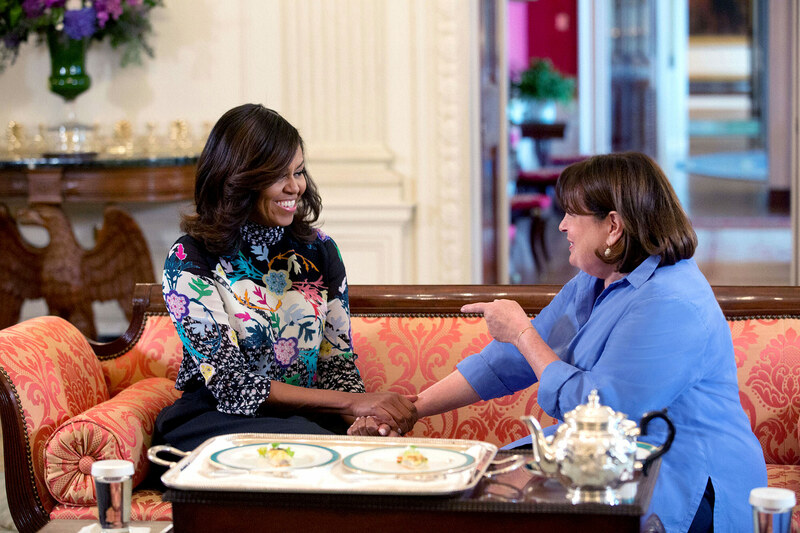 The episode featured Garten having lunch with Michelle Obama, using ingredients sourced from the White House vegetable garden. Garten remains friends with the former first lady to this day. They have been spotted having lunch together at the Mark Hotel in New York City. According to Page Six, the two high-profile celebs could be seen laughing and chatting over food prepared by Jean-Georges. This was back in 2017, so we can only assume many more lunch dates have happened since then. Garten is a registered Democrat and is often hailed as a feminist. She served as the hostess for the 16th Annual Planned Parenthood event and often features her openly gay friends on her show. She has spoken about her appreciation for love and all of its guises in one of her books. When talking about families, she said, "It’s not as simple as two parents with 2-3 kids… it’s about relationships… it’s about people who are bound together by love and a sense of being responsible for one another… it’s a group of women who meet to cook dinner together once a month… it’s two men who’ve made a life together… love is all we have… getting love, but even more, feeling love." We all know that Ina loves good food and doesn’t count the calories. Where’s the fun in that? Unfortunately, there are some people out there who don’t agree with her methods. The Physicians Committee of Responsible Medicine took aim at Garten’s book, Barefoot Contessa: How Easy Is That? According to them, the high-fat, high-calorie, and high-cholesterol meat and dairy products were just too unhealthy to be popularized. Other journalists jumped to the defense of Garten though, including The Wall Street Journal‘s Eric Felten, who said it was an "assault on cookbooks that dare to venture beyond lentils." Needless to say, the negative comments didn’t affect sales. It’s no secret that Ina has her fair share of celebrity fans, but one mutual appreciation turned into an unlikely friendship. Pop sensation Taylor Swift has appeared on Barefoot Contessa previously, but it goes beyond a cooking cameo. "She’s very smart and very interesting and she loves her friends," Garten said of the singer. "She is wise beyond her years, to say the least." The pair talk about everything from boyfriends to businesses, friends and life. What’s not to love about this union? Swift is famous for her girl squad, so perhaps Ina is one of her famous female BFF’s. Martha and Ina first met when Garten was still running the Barefoot Contessa store in East Hampton before she was a household name. In fact, it was Stewart who put the store owner in touch with a book editor when she was working on her first book proposal. 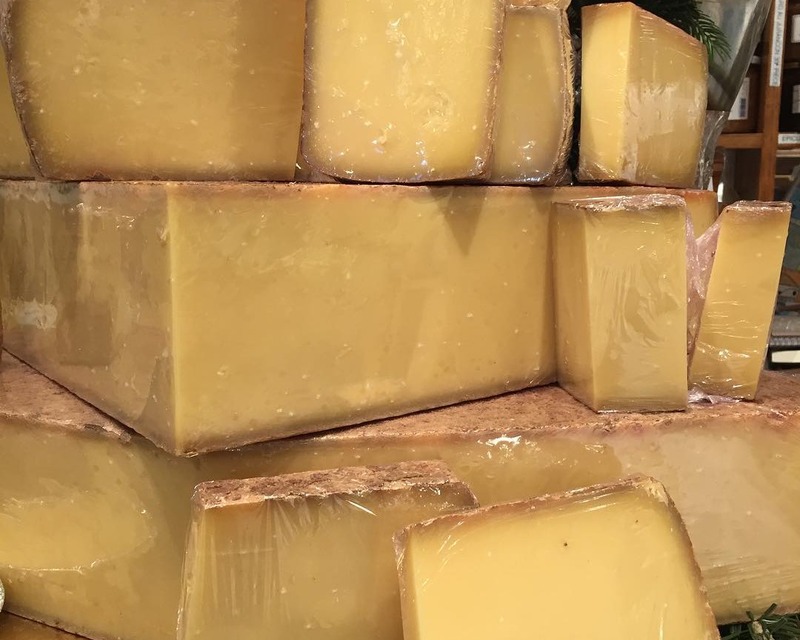 "My desk was right in front of the cheese case and we just ended up in a conversation," Garten said. "We ended up actually doing benefits together where it was at her house and I was the caterer and we became friends after that." The two remain solid buddies to this day. When talking to Southern Living, Ina offered up her opinion on recent food trends. With our Instagram feeds littered with new-fangled foods, it was only a matter of time before Garten was asked to weigh in. "I like coffee to taste like coffee," she said, dismissing pumpkin spice lattes with one fell swoop. Garten is Switzerland when it comes to matcha as she’s never tried it, but hates pineapple pizza. And she’s not about unicorn foods: "If I don’t know what it is, I’m probably not going to eat it." She also isn’t a fan of kombucha, saying, "I’m not big on anything that’s fermented." 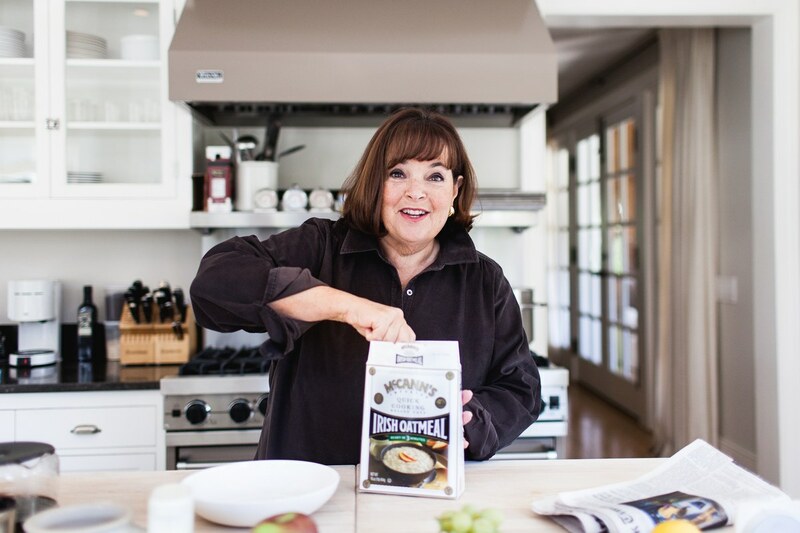 In 2006, Garten decided to make her recipes more accessible by launching the Barefoot Contessa Pantry, a line of pre-packaged mixes. Alongside her business partner and Stonewall Kitchen, the convenience foods were aimed at the higher end of the market. 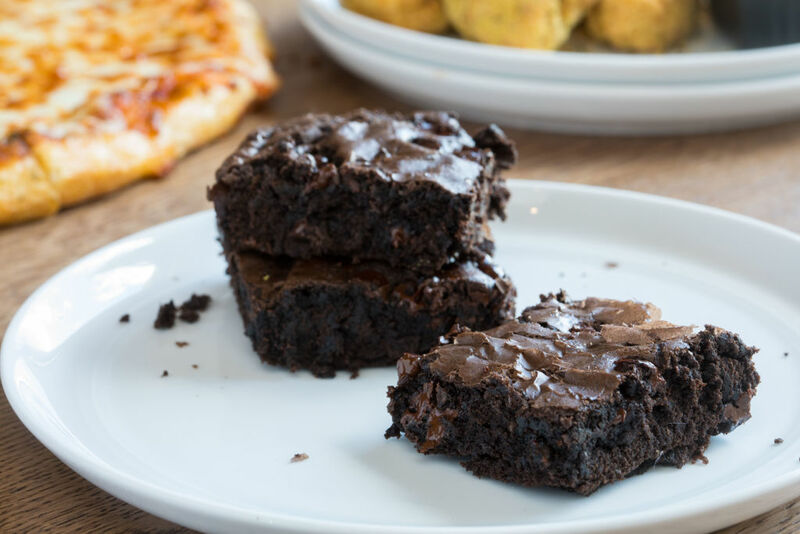 While a normal cake mix may cost you a couple of dollars, Ina’s brownie mix retailed at $10. Despite rave reviews for the quality of the products which were sold in gourmet food stores, production was stopped sometime around 2012. According to one Amazon reviewer, the ingredients in the mixes were proving too costly to produce, leading the manufacturer to cease production. Although she’s a registered Democrat, Garten has stayed pretty quiet about President Trump, unlike some of her contemporaries. However, in a 2018 interview with former New York Times critic Frank Bruni, she answered quick-fire questions about what she would serve some politicians. Elizabeth Warren would get lobster macaroni and cheese, Beto O’Rourke would chow down on pulled pork shoulder with maple beans, cornbread, and a kale salad, while Joe Biden would get "Something fun, like a lobster and clambake." How about Donald Trump? He’d be tucking into something simple, yet to the point; "A subpoena." The live audience couldn’t hold contain their laughter. Despite not being on board with food trends, Ina isn’t one to shy away from trendy food places. One of her favorites to grab a bite at is Shake Shack. She told People magazine, "I love Shake Shack. It’s so good. I love their fried chicken sandwich." It’s good to know that someone regarded for her wholesome homecooked meals isn’t one to look down on fast food. Garten has also been seen enjoying In-N-Out one other occasions. But there is one type of fast food you’ll never catch her eating and it’s Chinese take-out food. One bad experience had her swearing off the stuff for good! 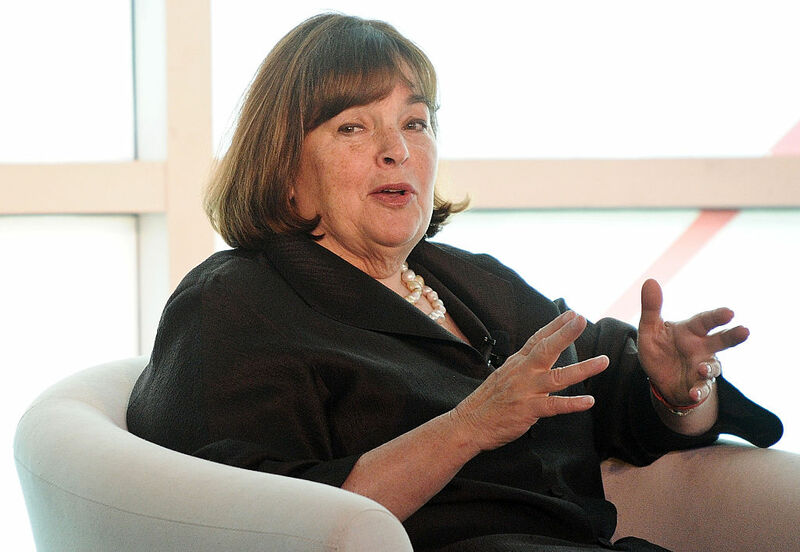 Ina Garten may run among the ranks of other A-list celebrities today but even she says that being famous isn’t all that it’s cracked up to be. The only thing she does enjoy about it is that people benefit from her work. "I don’t think being famous ever makes anyone happy. But I think at this point in my life I love that people enjoy my work. Cookbooks give people the tools to do something for themselves, and it makes them feel good. So I love that," Garten told People magazine. 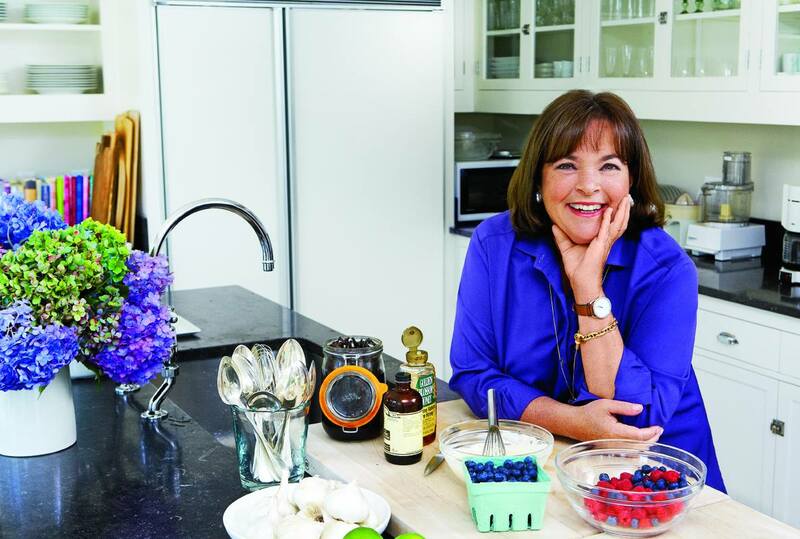 Ina Garten may seem like the ultimate hostess when it comes to dinner parties and the like but even today, she feels an immense pressure to live up to her own image. "I’m the most anxious cook. People always say ‘People must be so nervous to invite you to dinner,’ but it’s actually just the opposite. I’m nervous when I invite people to my house because I think they expect something spectacular. And, you know, sometimes it is, and sometimes it’s good but not great," she once said. Older celebrities often aren’t privy to social media, or they at least have a social media team for them. 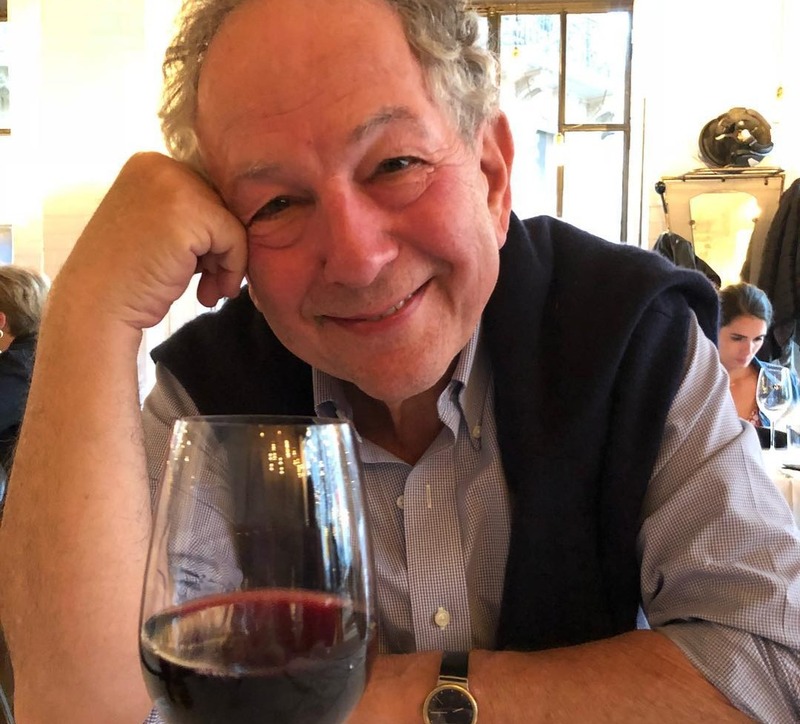 Of course, most celebrities must have a social media presence these days in order to stay relevant and Ina Garten is no exception. At first Facebook and Instagram were beyond her because she thought she didn’t have time. But that quickly changed. "Immediately I thought it was very interesting because people comment on things, and people have great ideas. I read a lot of the comments. And now I’m obsessed with Instagram. I love watching what other people are doing," she said. 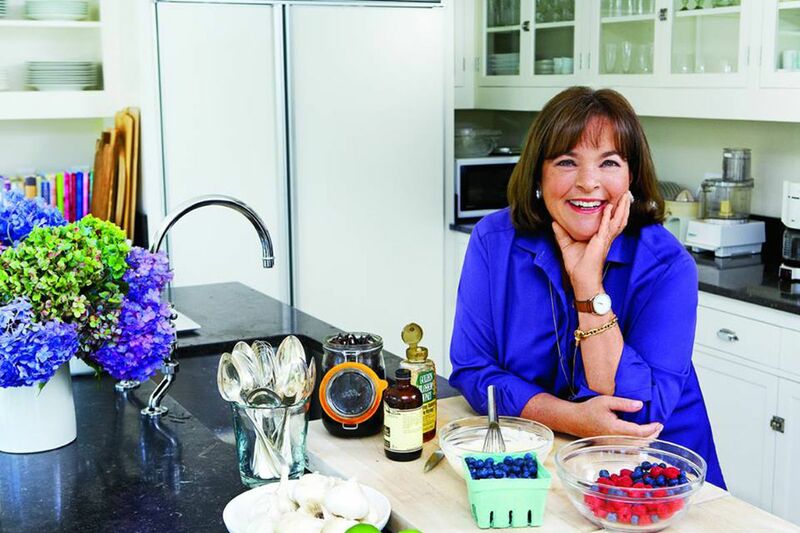 Though it seems that Ina Garten has encouraged the world to try a whole new lot of interesting ingredients, there are still some that even she will refuse to use. One ingredient she absolutely loathes is cilantro. "I can’t stand it," she told People. As it turns out, Ina Garten is not alone in this phenomenon either. If someone hates cilantro, scientific studies have proven that it’s actually in one’s genetic makeup as to why they dislike the herb. Even Garten’s culinary idol, Julia Child, was not a fan of cilantro. 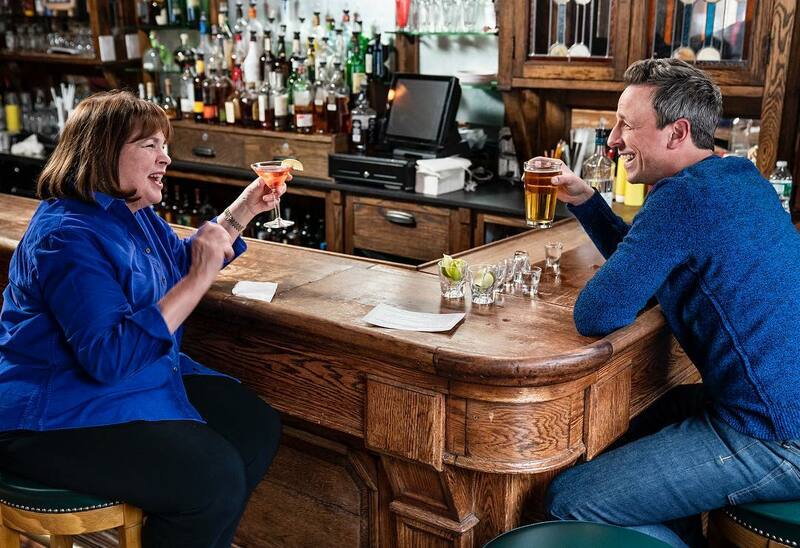 If you want to sip the summer away like Ina Garten, then be prepared because her go-to drink every summer is a whiskey sour. "But they have to be homemake, with fresh juice and good bourbon – Knob Creek," she tells TIME. 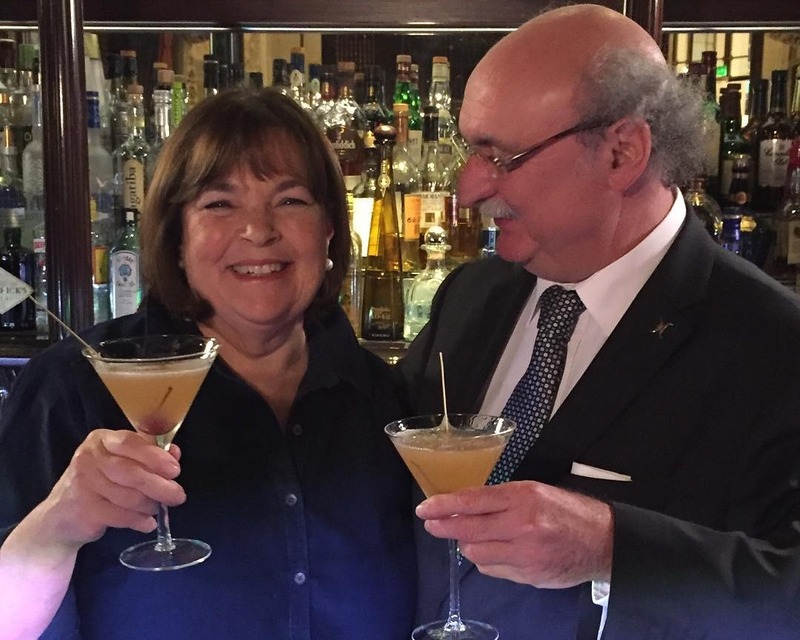 Ina has even shared her own recipe for a refreshing whiskey sour in her book, Barefoot Contessa at Home. The recipe is a simple one, calling for your whiskey of choice along with freshly squeezed juices of limes and lemons, a simple syrup, and some Maraschino cherries to top it all off. 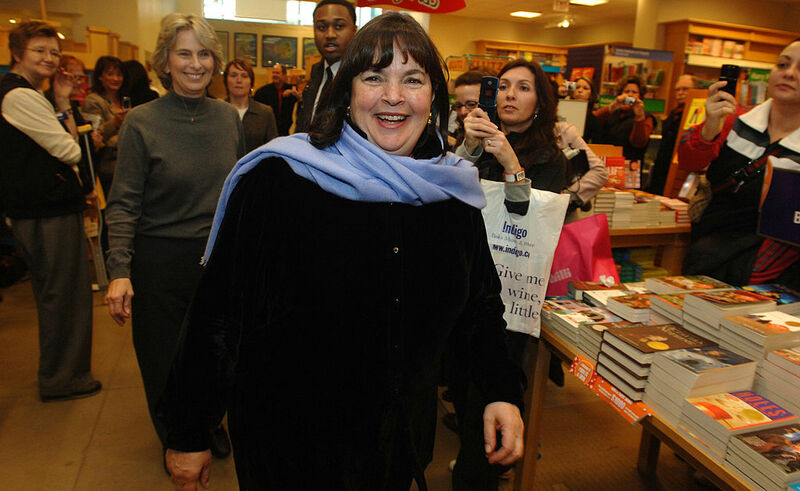 Even though Ina Garten has expressed that being famous isn’t everything, that doesn’t mean she doesn’t revel in the adoration of her fans. She thinks they’re all "lovely" and appreciates when they tell her that she taught them how to cook. "One of my favorite things was when I was walking up Madison Avenue one time and a woman walked by in a big fur coat and said, ‘Oh, darling, I love your cookbooks.’ And about a half a block later, a truck driver leaned out of his truck and yelled at me, ‘Hey, babe, love your show! I thought, That’s the world of food. It’s everybody," she once recalled. Ina Garten is obviously no Sandra Lee, who is known for her "semi-homemade" mode of cooking. 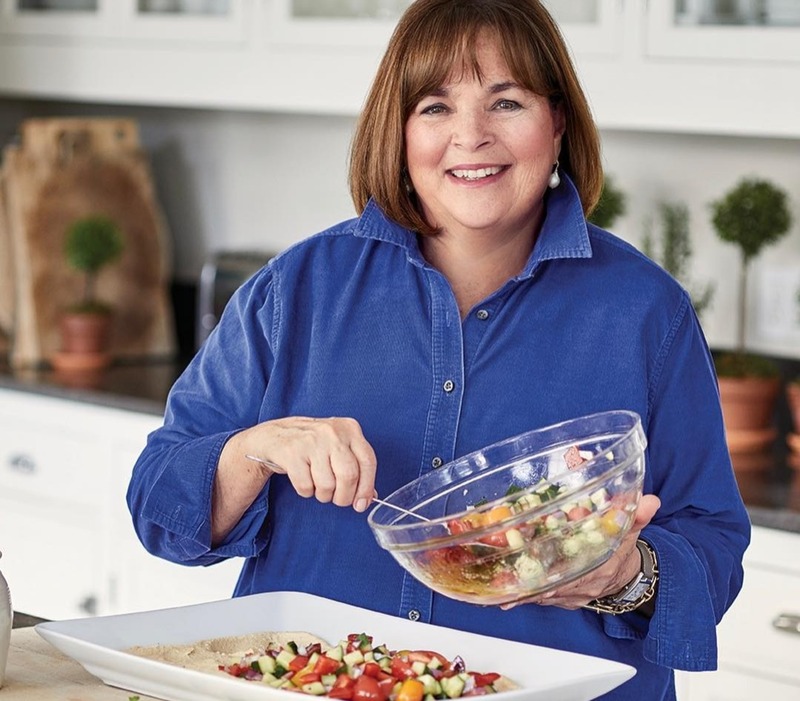 But one thing that you’ll almost always hear on the show Barefoot Contessa, is the reassurance from Ina herself that "store-bought is fine" when it comes to gathering your ingredients. Despite giving the OK for store-bought ingredients, one ingredient that Garten insists you should do yourself is grated parmesan cheese. This is probably because pre-grated parmesan that has been sitting on the shelves is not nearly as fresh (therefore not as tasty!) as something you can whip up yourself in a matter of minutes. 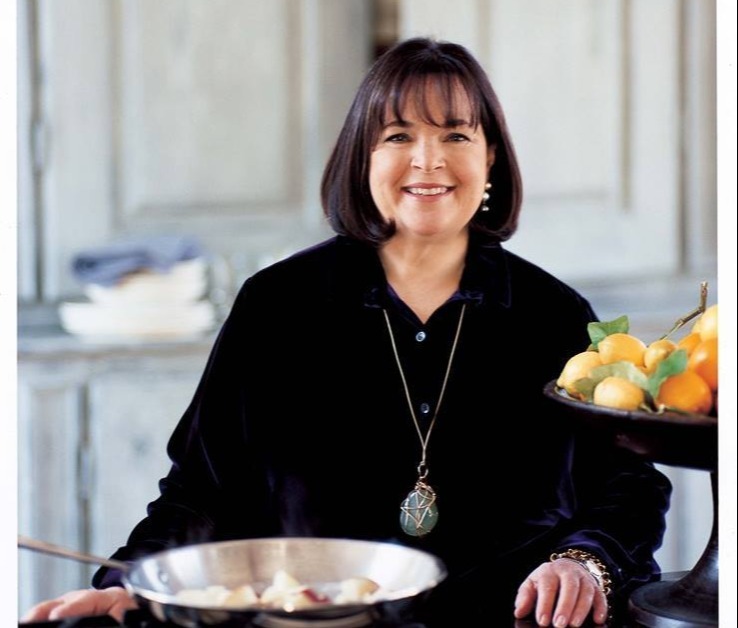 Ina Garten may have shown us how to make the perfect roast chicken and the best-ever lemon bars but even though she’s essentially a pro, there are some recipes that she admits she still hasn’t gotten right yet. "I’ve been working on Boston cream pie for about three books, and I haven’t gotten the balance and flavors and textures quite right," she tells TIME. 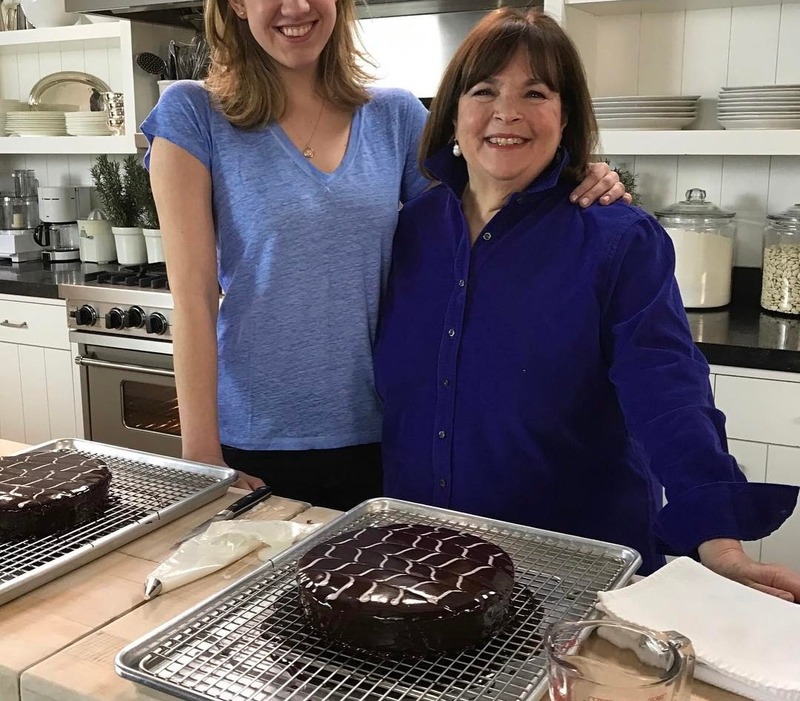 Certainly, any of Garten’s existing Boston cream pie recipes are mouth-watering, but we can’t wait to try the one that she is absolutely confident with! 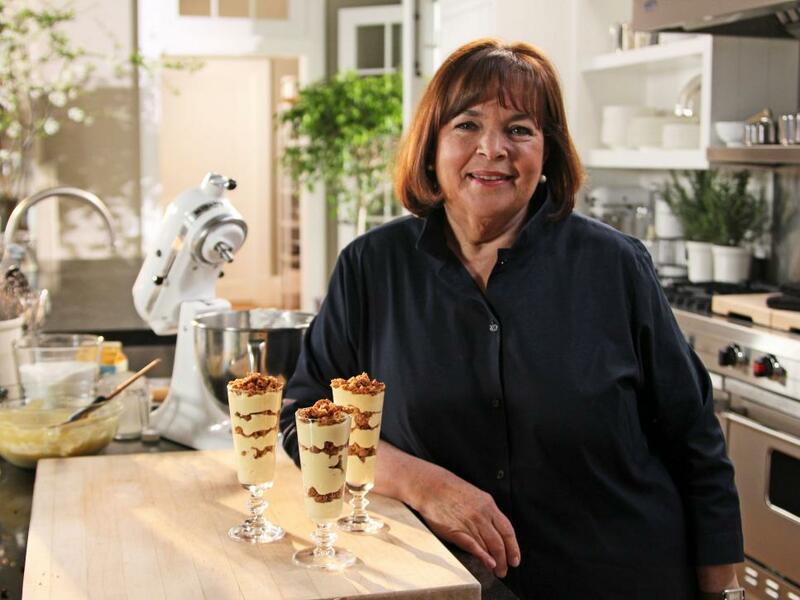 Ina Garten has remained relatively apolitical in her rhetoric on her shows and in interviews. Though as you’ve already read, the self-professed Democrat has publicly taken a playful jab at Donald Trump at one point in her career. Despite this, Garten is aware that people have their own opinions and she makes a point to respect that, especially at dinner parties. "I don’t ever want to offend somebody. If they have different political views, I’m happy to discuss it, but tempers run high and it depends on who you’re talking to," she once said. 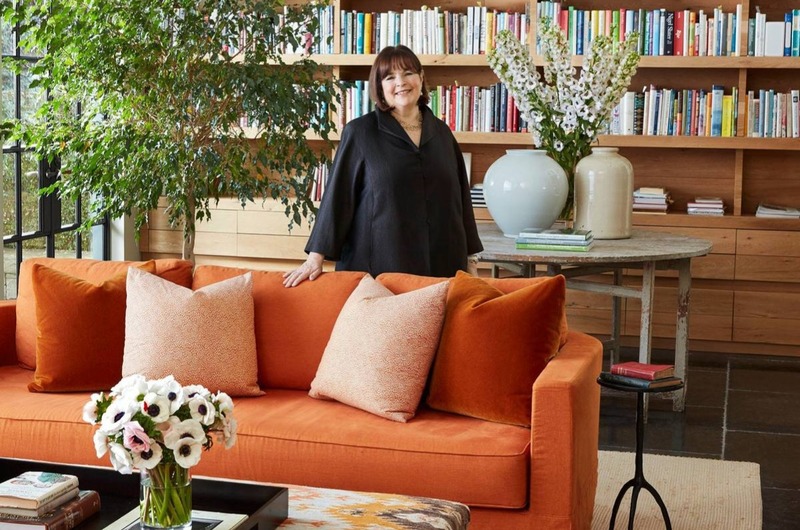 We often see Ina Garten’s inviting barn-inspired home in East Hampton, New York on Barefoot Contessa. Garten was inspired by the countryside homes of Belgium and recruited the expertise of architect Frank Greenwald to help her build it. The best part about her home is being able to entertain her guests in a warm, outdoor space. "All my guests love to sit on the stone sitting wall before dinner, having a glass of wine," she tells Home Beautiful. We would sure love to be invited to one of Ina’s dinner parties here! 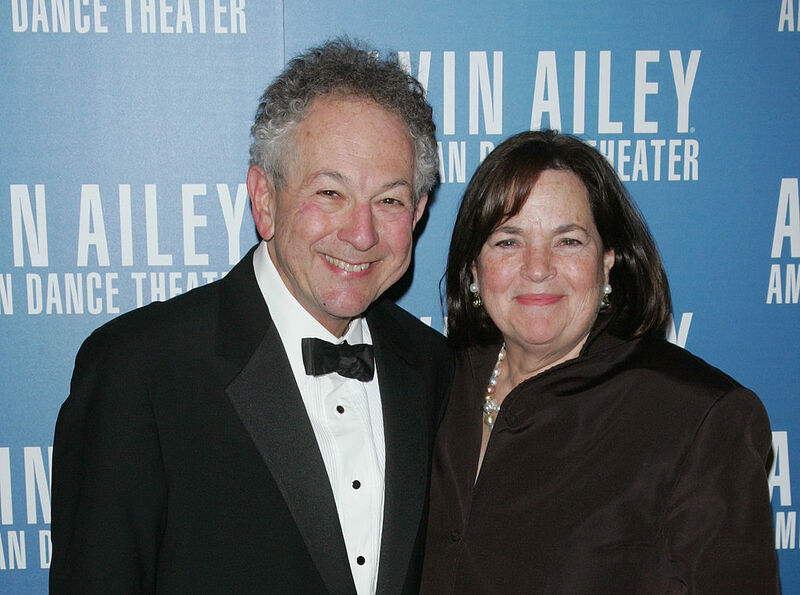 Though Ina Garten’s East Hampton home is clearly where it’s at, she also reportedly has a home in the heart of Manhattan on the corner of Park Avenue and 62nd Street. She and Jeffrey paid a reported $4.65 million for the pre-war home that has expansive views of East Manhattan and downtown. For a home in the city, it’s also surprisingly spacious, with a 19 x 36-foot living room outfitted with wood-burning fireplaces. There’s also a corner library that shelves Ina’s vast collection of cookbooks. If you’re a total beginner in the kitchen and want to learn under Ina’s wing, then you should probably try to master these two things: roast chicken and coffee. These are the first two recipes that Ina says you should learn to how cook when you’re just starting out. It’s obvious why coffee would be one of the items on that list, since coffee is a staple for anyone who is looking to get the day started. Also, Ina’s roast chicken recipes are some of the most revered on Food Network, since they can help you for almost any occasion. 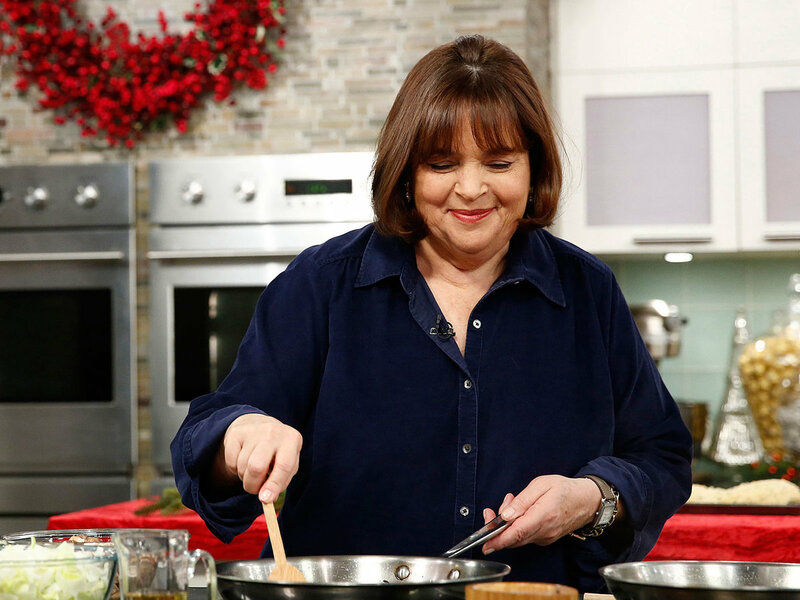 Ina Garten can cook up a storm in the kitchen, but you might be surprised to learn that she might actually be able to fly her way through an actual storm if she really had to. 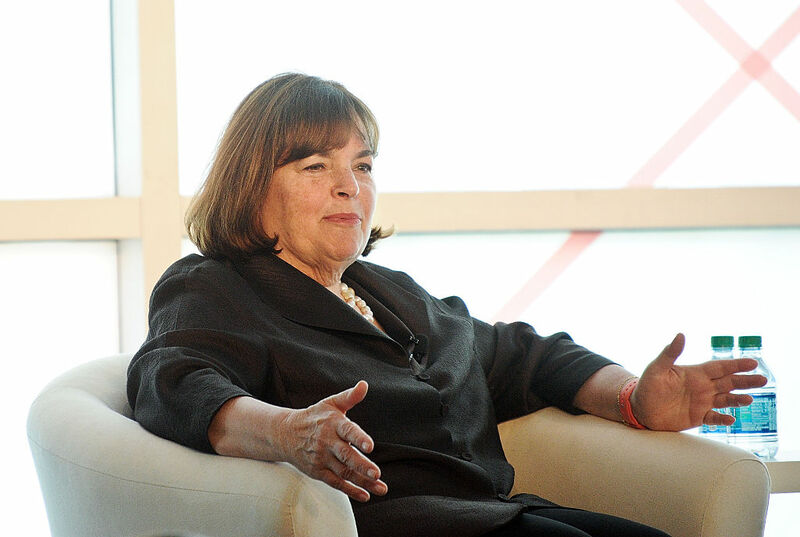 Ina Garten has a pilot’s license and has had one since the ’70s. She got it when she and Jeffrey were living in North Carolina while he was still in the Army. Back then, Garten had to find an instructor that was actually willing to teach a woman. "My roommate in college was an aerospace engineer. She had a pilot’s license. So I always thought it was very cool," she recalled. 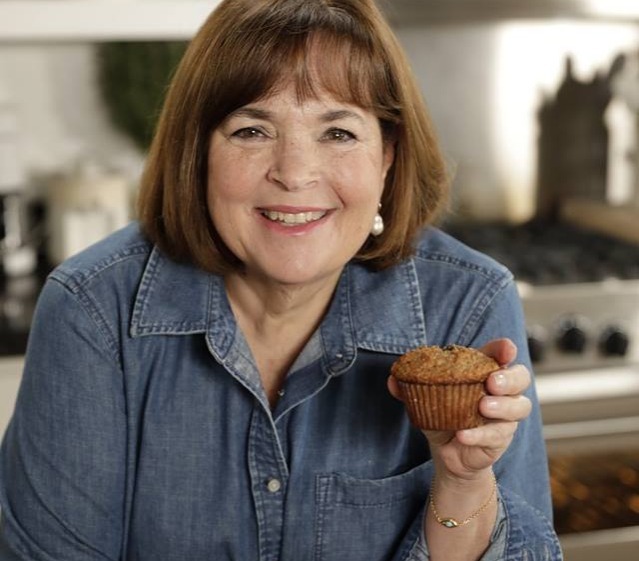 Barefoot Contessa is what brought Ina Garten to the public consciousness and though we’ve all seen her culinary expertise on our television screens, Ina has never gone out of her way to do the same for herself. In fact, she shudders at the idea when asked by a Buzzfeed reporter about having watched her own show. "Oh, I just think that if I had to watch the show, I’d never do it again. I just don’t understand it. I’m glad people like it. But I just can’t. Watching myself on TV," she said. 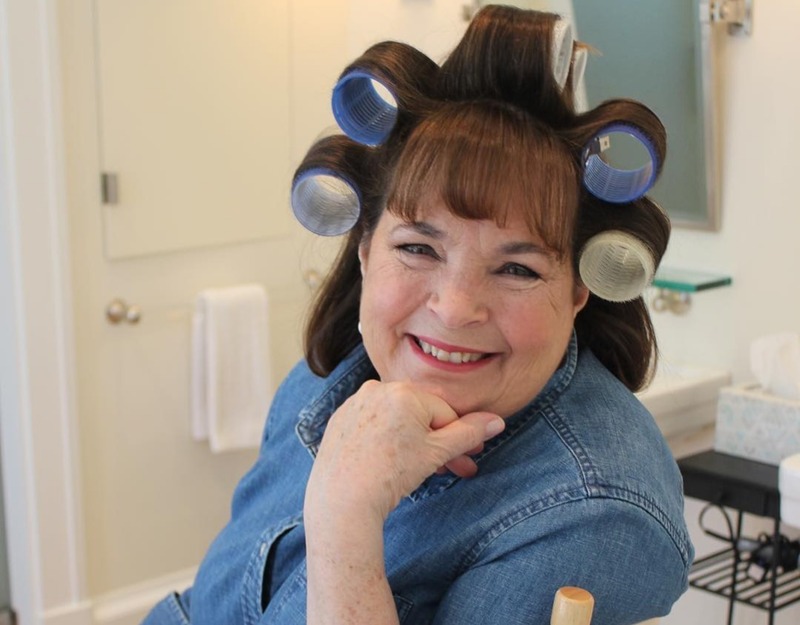 Ina Garten grew up in an era where women were expected to get married, start a family, and live the life of a homemaker. But she knew early on that she didn’t want to subject herself to a cookie-cutter life. “I grew up in a generation of women who didn’t expect to work. When I was in college I just assumed I’d get married and that would be my life. I was just at the cusp of women waking up and saying, ‘Wait a minute, I could actually have a great life. I can do whatever I want,'” she told Pittsburgh Post-Gazette. Considering Ina’s independent spirit at the time, she was lucky to have a man that would support her dreams all the way. Jeffrey, the love of her life, was precisely that guy. Ina Garten may be a pro at hosting get-togethers with great food but when she first started out, it wasn’t as easy as she makes it seem now. The first party she ever threw was a rough for her because she invited 20 people. “It was 20 people for brunch and I decided to make an omelet for everybody. I spent the entire time in the kitchen making omelets one after the other. I think it took me a year to give another party. I was so traumatized by it,” she recalled. 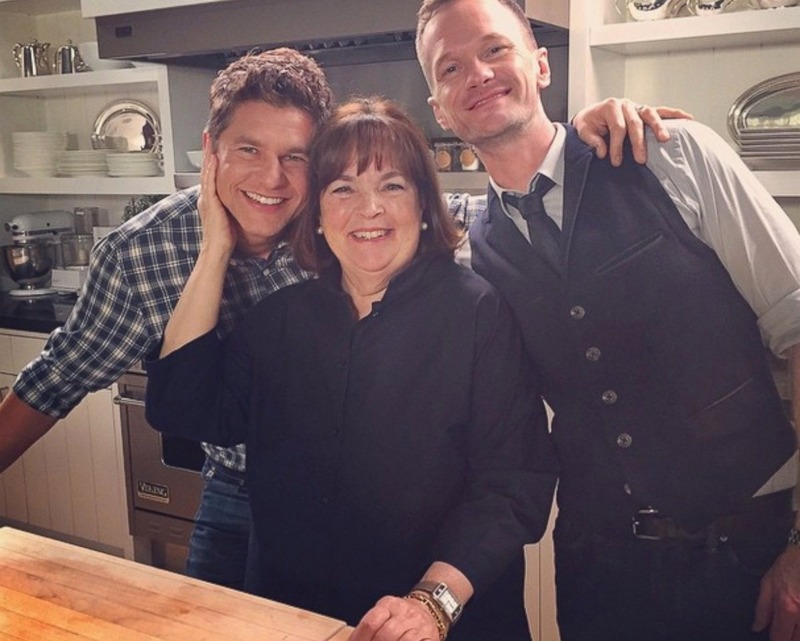 There’s no doubt that Ina Garten lives a serendipitous life at this point. One thing that makes her truly happy in life are “Sundays in Paris with Jeffrey. We go to the Sunday market, make a nice lunch, drink a big bottle of Burgundy, and then take a long delicious nap. 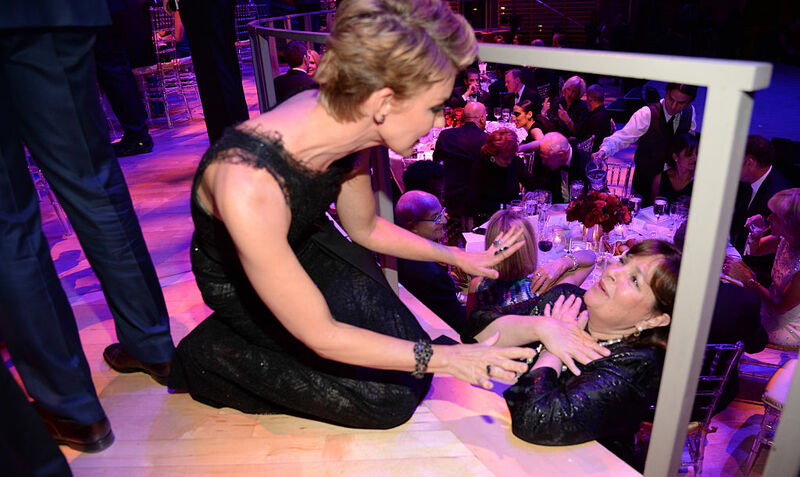 Heaven,” she told Vanity Fair. In addition to her glorious Parisian weekends with her husband, one extravagance that Ina loves is never having to set an alarm clock. She also told the magazine that being young is overrated and that she’s having much more fun in her later years (as of 2019, Ina is 71 years old). 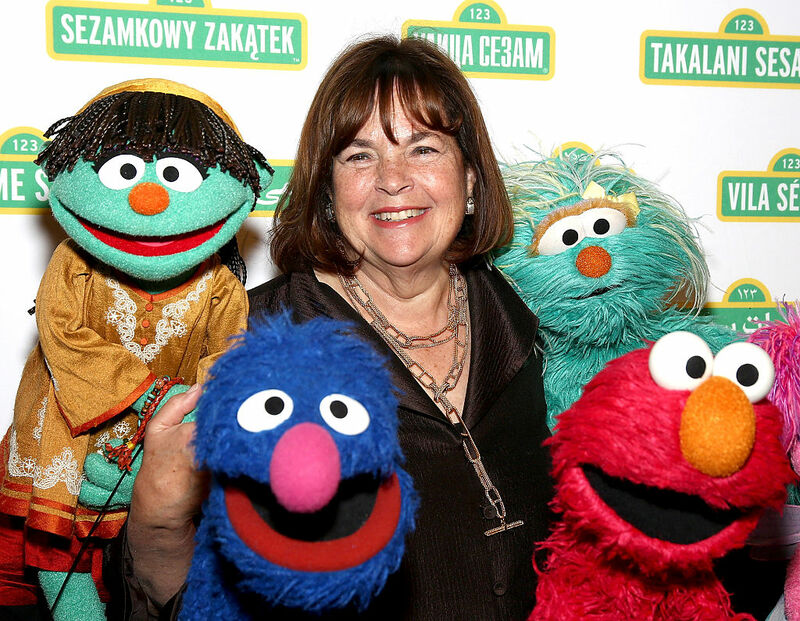 Ina Garten may be known for her warm and inviting personality but at one point in her career, that wasn’t the case. In 2011, she denied a six-year-old Leukemia patient’s request to meet her through the Make-A-Wish Foundation, saying she was too busy on a book tour. When the young man’s family made the request the following year, Ina’s team denied it yet again. When the family decided to write about the experience on their blog, it was picked up by the media. Only then did Ina make an effort to invite the boy on her show, but by then it was too late.